Going beyond traditional customer emails and a static website, Churches Co-operative Credit Union (CCCU) is employing a full suite of innovative technologies for client communication including social networking sites, blogs, text messages and video sharing websites. 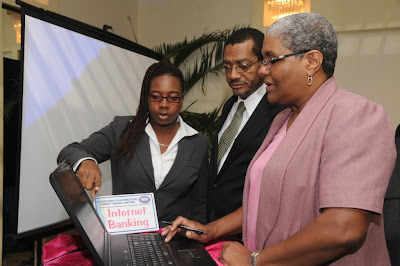 The Financial Institution has embraced information technology not only as a vehicle for communicating with its members and the wider public, but also for carrying out its public education programmes and providing information for various stakeholders. The organisation now boasts its own blogspot, has videos on YouTube and can be found on most of the major social networking sites including Facebook, Twitter and Myspace. Additionally, CCCU has been using text messaging and email to reach its member base and its website will soon serve as a portal for online banking. This multi-faceted approach to communication has helped the company to serve its current membership while attracting additional clients. For Churches Credit Union, an added advantage of using social networking sites and other web-based media is that the communication flows two ways. In fact CCCU members and the wider public are encouraged to make comments and suggestions on the all their various sites. As a result, rather than just being the latest advertising craze, social media has become a rich source of customer feedback. The approach being employed by CCCU has numerous advantages for the company, its members and even the natural environment. CCCU is able to maintain a fairly direct line of communication with members, and in return, are able to receive accurate, up to the minute information – often regardless of their location – and digital communication reduces paper usage and waste which is good for the environment.